Welcome to your dream home! Perfect as a primary residence or a second home or investment property! 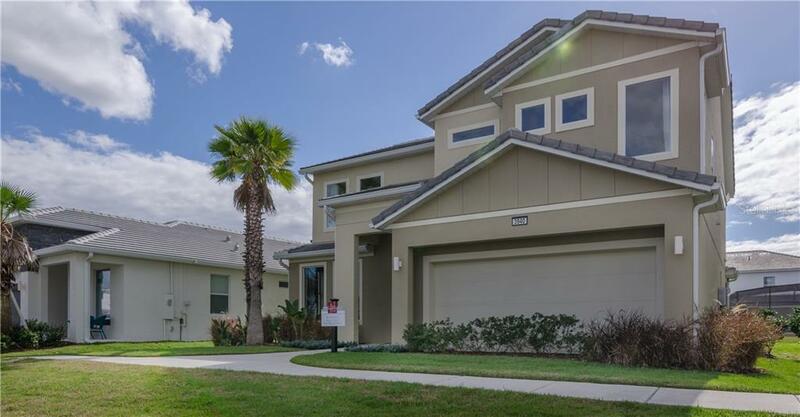 Prime Location, minutes from Disney theme parks, shops and restaurants. Investors, this is a high producing home. Top producer of the largest management company of Central Florida. We can show you the results. The beautiful model home is the perfect vacation home for both large families and additional guests. Youâll be amazed to find an over-sized living area where friends and family can gather and designed to open up into the kitchen. Along with your standard dining area, you also have an additional dining room separate from everything else to add either an element of formality or to host a dinner party. This home also boasts its two master suites. Both located at the second story with immaculate master baths with dual sinks. Home being sold as is. Furniture included on price. Bring your offers! Bring your buyers!